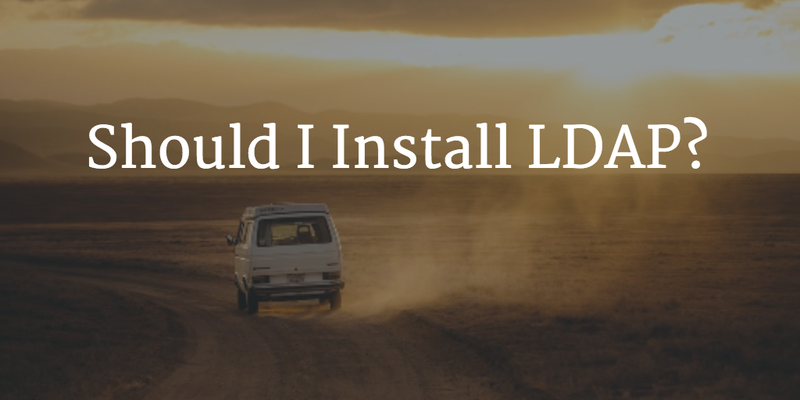 How do I install LDAP? Home » Blog » How do I install LDAP? That’s a trick question here at JumpCloud. You don’t. 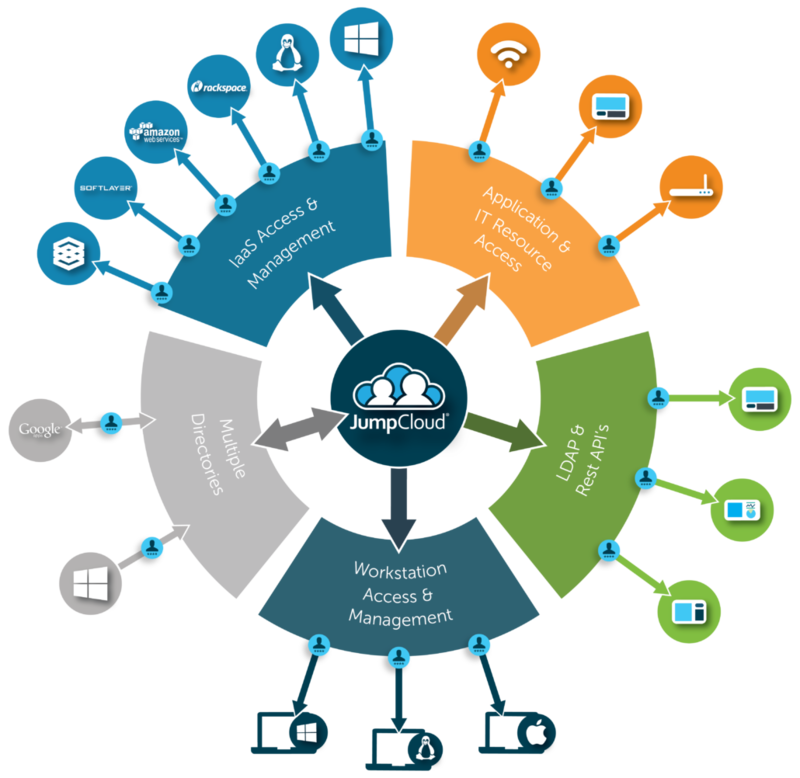 You focus on what you do best and let JumpCloud install, manage, and maintain LDAP. There really is no reason in the modern era to be spending time managing directory services, especially something as complicated as LDAP. For most if not all organizations, directory services are a means to an end — not the end itself. That is the very definition of a service that should be outsourced and delivered by a specialized service. With the introduction of Directory-as-a-Service®, JumpCloud took the work of implementing and managing directory services off of IT admins’ plates. No longer do IT organizations need to budget for the time, money, and resources to manage their internal directory services infrastructure. Instead, IT organizations can easily manage their users and the IT resources that those users need to access. At some early point in the company’s life, there are enough users, devices, and applications that controlling everybody’s access manually becomes burdensome. If the devices and applications were primarily Windows, then the IT organization generally chose to acquire and implement Microsoft Active Directory®. If the devices and applications were more technical in nature – often utilizing Linux or integrations for LDAP – then the open source solution, OpenLDAP™, was the most common choice. Either way, IT admins would then go through the process of standing up the directory services infrastructure. This includes provisioning the hardware, installing the software, configuring the system, networking everything together to ensure that all devices and applications can communicate with the directory services, and then populating and configuring your users. With a Directory-as-a-Service solution, you can skip straight to populating your users and connecting your devices and applications to the directory. No need to procure hardware, install LDAP or Active Directory, and then network everything together. One of the benefits of DaaS is that there are agents that live on Windows, Mac, and Linux devices to easily connect the devices to the directory. For applications that support LDAP, simple configurations point user authentication back to the cloud-based directory. Instead of spending time installing and managing LDAP, simply leverage a SaaS-based service. Your directory services aren’t your competitive advantage. But by leveraging a top solution from a third-party vendor, you can spend more time and energy on the tasks that do build a competitive advantage for your organization. If you would like to try Directory-as-a-Service out for yourself, you can sign-up for a free account. Your first 10 users are free forever. Alternatively, if you have any questions about installing LDAP or having managed LDAP, drop us a note. We would be happy to discuss which would be the best for your situation.